In order to better deal with PSTD (post traumatic stress disorder), I have begun to acknowledge many things that I previously have shoved back down. The fact that acknowledgment also means “thanks” is very inspiring. I am very grateful that God blessed me with many wonderful talents. Writing, singing, composing and illustrating have allowed me to cope. In the last two years, both of my parents have died. I can acknowledge that fact. In addition, I acknowledge that I am also dealing with the end of my marriage of 31 years. A week ago, I recorded a love song I wrote when I was twenty. I sang with emotion, while at the same time pushing down the heartache that I am 54 and it has been over 30 years since I’ve experienced romantic love. As I have started to acknowledge more of my feelings, I’ve found insight into that special time when I began writing my blog with joy and abandon. I always knew that writing helped alleviate my loneliness from missing my mother when she began to decline. But when I opened up my heart and shared intimate feelings on my blog, it was because I desperately needed understanding I found nowhere else in my life. It was after my friend Susan died that this revelation came to me. 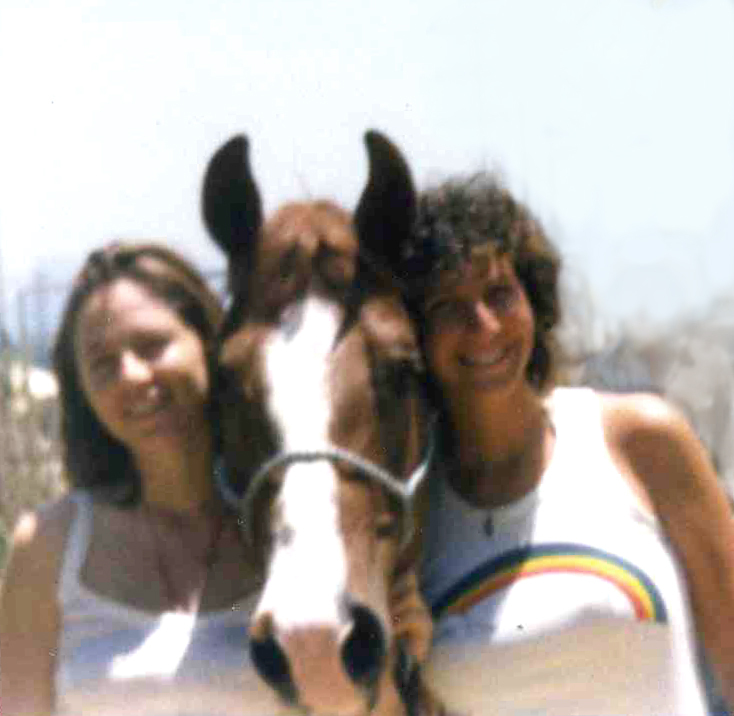 With her death, I lost a friend who offered me tremendous understanding and compassion. Susan acknowledged my traumas even though she hadn’t experienced the things I had (such as the loss of a child). Currently, I am dealing with many different kinds of losses. Whenever a friend has acknowledged my grief and/or challenges, I have been greatly comforted. Judy, it really is amazing how you’ve kept going as well as you have. You may find this interesting–it’s a well-known life events stress test. Based on what I know about you, you top the charts! Marital separation, divorce, death of close family members (my parents and a child), personal injury or illness (my eyes), change in financial state, death of close friends, change of career, daughter leaving home, change in living conditions, revision of personal habits, change in residence, change in social activities, change in family get-togethers, change in eating habits. My score was 533. The site only listed above 300. Here was what was stated about any score higher than 300. 300+ You have a high or very high risk of becoming ill in the near future. This scale shows the kind of life pressure that you are facing. Depending on your coping skills or the lack thereof, this scale can predict the likelihood that you will fall victim to a stress related illness. The illness could be mild – frequent tension headaches, acid indigestion, and loss of sleep to very serious illness like ulcers, cancer, migraines and the like. My guess is that “and the like” (at the end of the above paragraph) could include dry eyes. My friend Marge took this picture while we were walking through a park together. It matched my blouse in color. 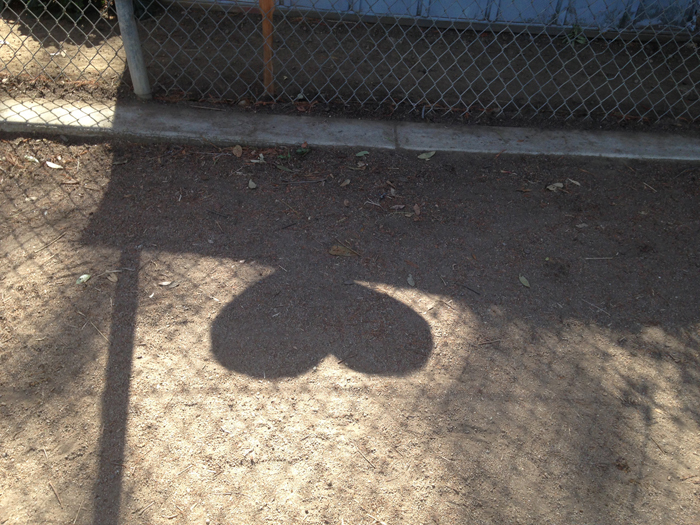 I noticed a heart-shaped shadow before I saw the sign. It held great meaning for me because I believe self-love is very important when coping with challenges in life. But I decided that acknowledgment was far more important for me to emphasize. It applies to how acknowledgment leads to comfort and understanding during any difficult time in life. 2. Expressing honestly how when a friend acknowledges my challenges rather than judges my sadness, I am truly comforted. 3. Being thankful for all the goodness in my life, despite my challenges. For more on this subject related to grief I share two links, which are incredibly moving and educational. Because these women are grieving deeply, they get the point across with far more intensity. Grief is appropriate when a person experiences loss. I strongly believe that healing is possible, but grief is still a monster that must be dealt with. The isolation from grief is a horror that is truly indescribable. It is a feeling of being completely alone from any other human on this planet with unbearable pain. It is beautiful to comfort someone by acknowledging his or her challenges, pain and grief. It helps them feel less isolated and cared about. It is far better than encouraging a friend to “move on,” “get over it” and “be happy.” This minimizes their loss. Instead of bestowing comfort, it causes even more anguish. When my son died, I knew that most people could not imagine the agony of my grief. I believed that I was coping in an amazing way – working and parenting my living children took every ounce of my energy. On rare occasions, I felt judged by someone for grieving too much. When that happened I was simply incensed, especially if it came from a family member or friend – it was a huge betrayal that caused me to withdraw from them. All I could think of was how he or she might be more understanding if they had experienced the death of their own child. I still maintain that I have healed from the death of my son, but now I carry new wounds. I only want encouragement from friends and am extremely sensitive. I realize that was why I became very upset when a friend sent me a well-intentioned message last month. My friend expressed worry that I was drawn to grief, and as an example pointed out my recent trips: attending a memorial in Northern California and going to Yosemite to meet a terminally ill blogger. My friend’s message ended with a statement that there was no end to sad stories and that I needed to actively pursue happiness. This message was a trigger. Triggers are things that cause me enormous pain because all of my suppressed pain from the past explodes with a trigger. Criticism is always a huge trigger for me because I lived with constant criticism for years in my marriage. I wasn’t sure how to respond to the message. I certainly appreciated what on the surface appeared to be very caring and concerned. But I felt very misunderstood and criticized. I appreciate that you are concerned about me and your message is caring. But I must explain because you cannot understand what I’ve lived through. The loss of a child is something I’ve healed from, but it did change me forever. I’m never going to be the person I was before that. A wound may heal, but there is still a scar. I’ve also chosen to view my scar as something that represents a profound effect upon me. Helping others with grief doesn’t make me sad – It is meaningful and very rewarding. I’ve gone through a lot of loss in the past two years: my marriage, my eyesight, my parents and the life I knew for over 30 years. 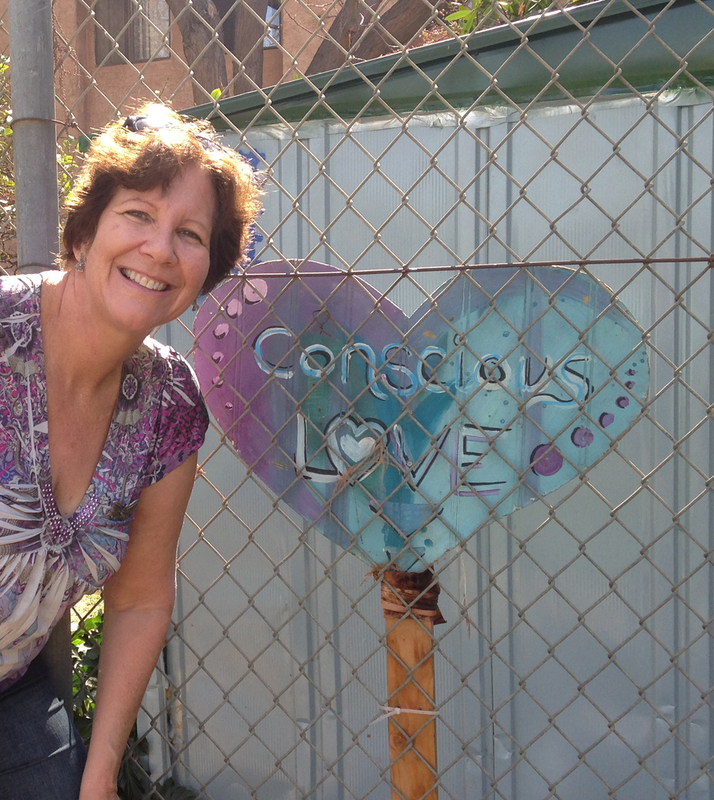 I actively chose to pursue happiness by making huge changes in my life! With all those changes, it is understandable that I have a lot of emotion. These days, I cry with joy easily, as much as with sadness. I’m certain that I’d feel better if my eyes didn’t hurt all the time. But I continue smiling and doing what I love to do. I love to sing, compose, write and help other people. I also hope to touch people in many ways beyond grief. For example, I had no idea that the lady who cleans my house shared a CD I gave her with her church. I’ve been invited to sing there because many people feel that my songs are about God and I’ve inspired them! I’m fine with that and plan to perform there soon. I’ll let other people balance out their life by partying! They have no idea how grief can strike anyone at anytime – and are fortunate to be unscathed. If I can make a difference as I have to someone feeling hopeless, I’ll die with a smile at the end of my life. My friend had no clue about how much I enjoyed my recent trip to Yosemite where I met a fellow blogger, Sandra Callahan who is terminally ill. It was certainly not about grief. That trip was a wonderful time reconnecting with my childhood friend, Joni. Meeting Sandra motivated me to go in the wintertime, which was something I found courageous and quite beautiful. Joni and I did spa treatments and hiked; I played my guitar and composed music on the porch. 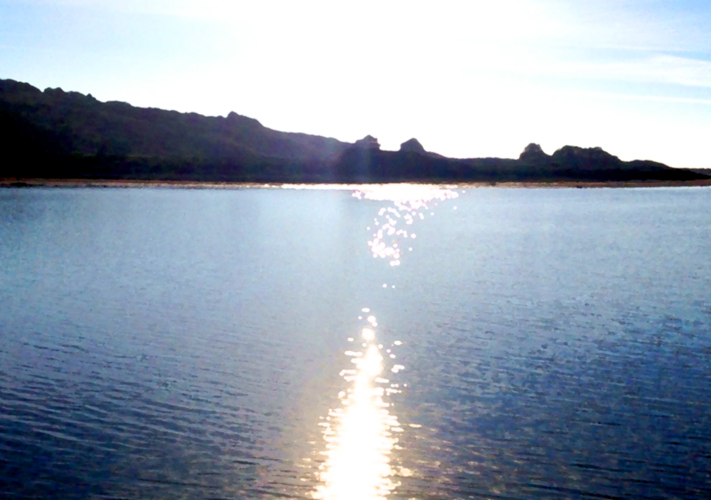 It was a very relaxing and healing trip, not at all sad. All the posts I’ve written about the death of my friend, Susan helped me to understand my journey and how far I’ve come from when it began. My trip to her memorial was a wonderful opportunity to see my deceased mother’s two good friends, whom I’ll probably never see again. To me, that was a beautiful way of processing my mother’s death. It meant so much to Susan’s mother and brother that I was there. I made a difference and was uplifted as I sang my heart out. This picture reminds me how my mother was a miracle. 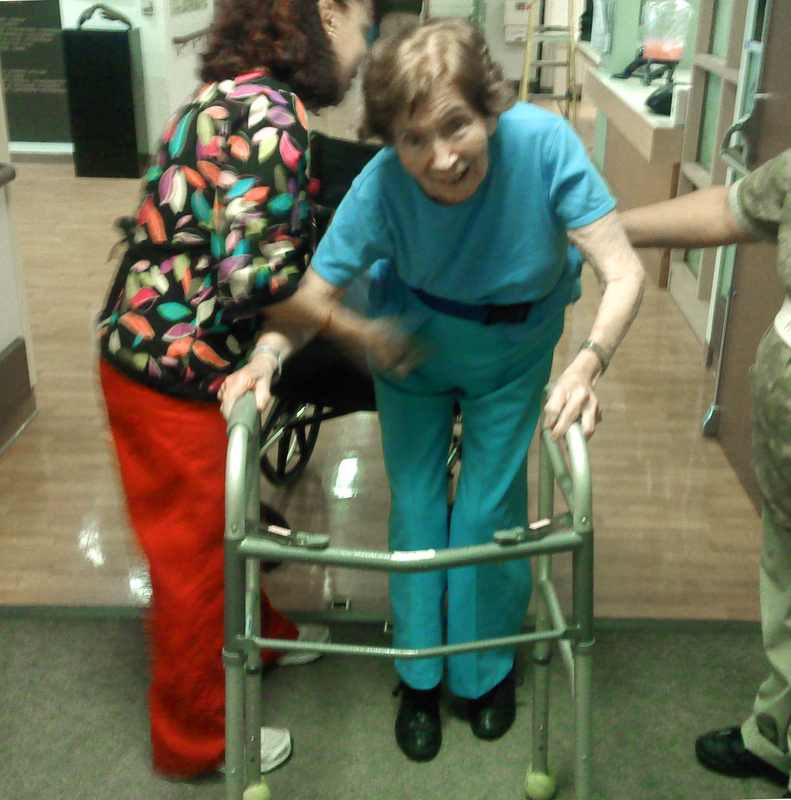 After she broke her hip and didn’t have surgery, she lived three more years and was able to walk again. I am grateful for the friends in my world who offer understanding. Only yesterday, I was struggling with my eye pain while shopping in a supermarket. Everything was foggy around me and I barely could smile. I came home, put away the groceries and retreated into a darkened room. It was then that I noticed there was a missed call and a message on my cell phone from my friend, Joni. I listened to it and cried a lot of tears for a woman with dry eyes. Hey Jude, It’s Joni! No need to call me back – I’m in traffic. But I just want to say thank you so much. Your music just brightens up my day and makes me feel at home, comfortable and safe. God bless you – your songwriting is amazing. I feel so blessed to be a part of it and that you do that. It’s just so amazing. Have a wonderful day and let me know how you’re doing. 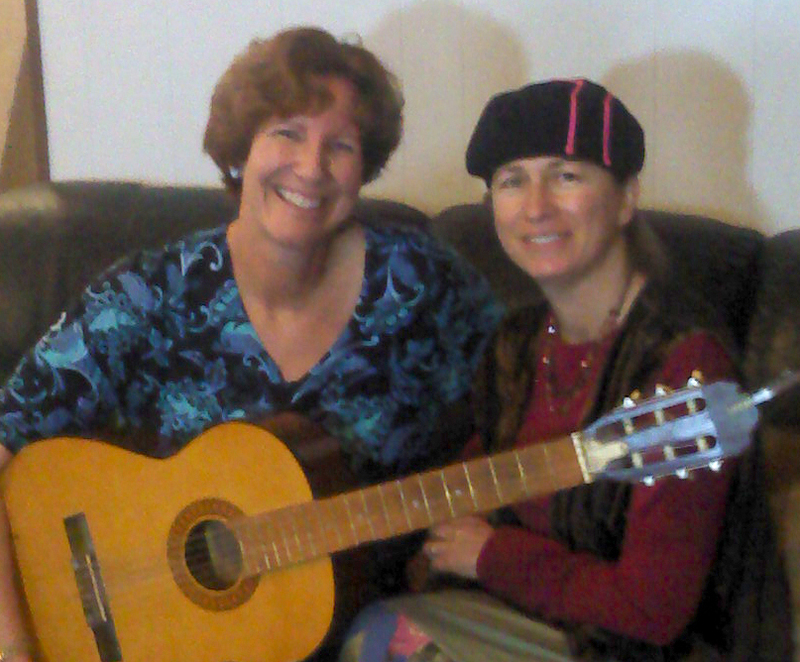 Joni is my friend who encouraged me to play my guitar again at the age of 50. Music changed the course of my life. This entry was posted in Healing and Hope and tagged acknowledging grief, acknowledgment, acknowledgment of grief, acoustic guitar, adjusting to divorce, arranging music, changes in life, changing your life, childhood friendship, comforting a friend, communication, compassion, coping with divorce, discouragement, dry eye syndrome, dry eyes, escape through music, eye discomfort, eye issues, eye problems, eyesight issues, facing divorce after a long marriage, feeling numb, Friendship, gray divorce, grief, GRIEF RELATED, guitar, having hope, healing music, hiding feelings, impending divorce, inspiration, Judy Unger, loss, loss of a mom, loss of a mother, loss of parents, lovesong, lyric development, mother daughter relationship, mother dying, mother's death, mother's illness, Music, music as therapy, music therapy, musical inspiration, optimism, original songs, Post Traumatic Stress, Post traumatic stress and hypnotherapy, Post traumatic stress disorder, PSTD, releasing pain, self improvement, separation, singing, songwriting, staying hopeful, stressors, suppressing emotion, suppressing feelings, suppressing tears, understanding. Bookmark the permalink. I love what you wrote. I think another way to put that is – even though you are facing death, you inspire life! Grief and loss are all about love, too. I see you as one of the most loving women I’ve ever met. Thank you, Sandra. This is such a beautiful post in every way, Judy, but I became angry (on your behalf) that you would be criticized for your compassion! You are one of the most empathetic, selfless, generous people I have ever come across and your music, words and self turn suffering into joy. I bravo you over and over again!